As I mentioned, I have a new obsession. Bo Betsy was one of my original inspiration artists in my last post, but I decided to ask her for an interview instead! 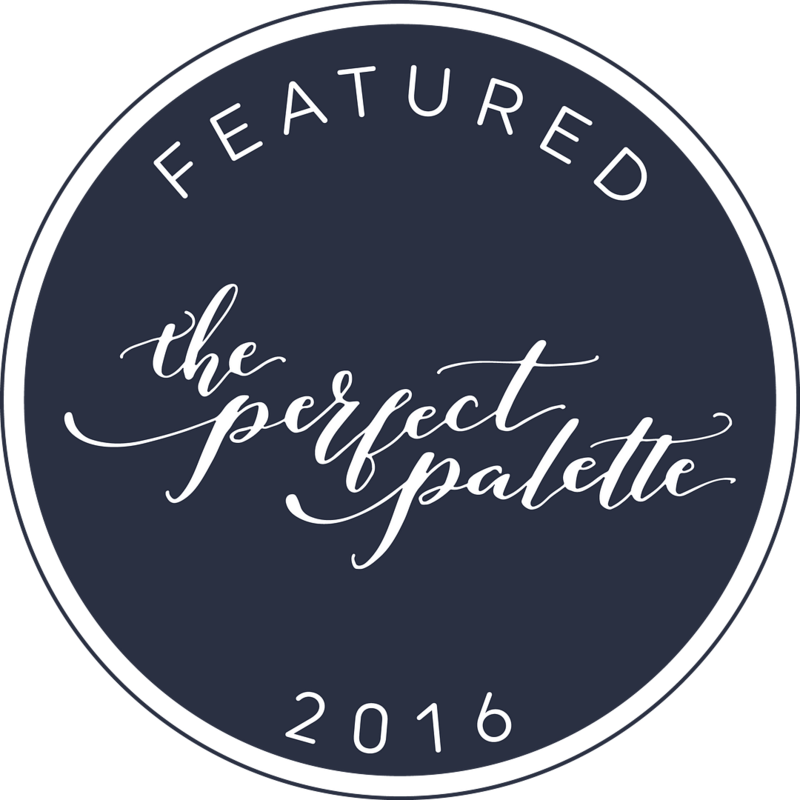 Cath has quite the variety of work in her etsy shop, but my favorite by far are the marine/floral/abstract pieces in the most fantastic color combinations. Tell us about your work—why do you create what you do? I embroider because I can’t stop. I don’t know that there has ever been something I so loved to do that I didn’t want to put it down. Stitching is certainly like that for me. There’s something wonderful about hand stitching… each slow, purposeful stitch adds up to something lasting and beautiful. What are some of your first memories of the craft? 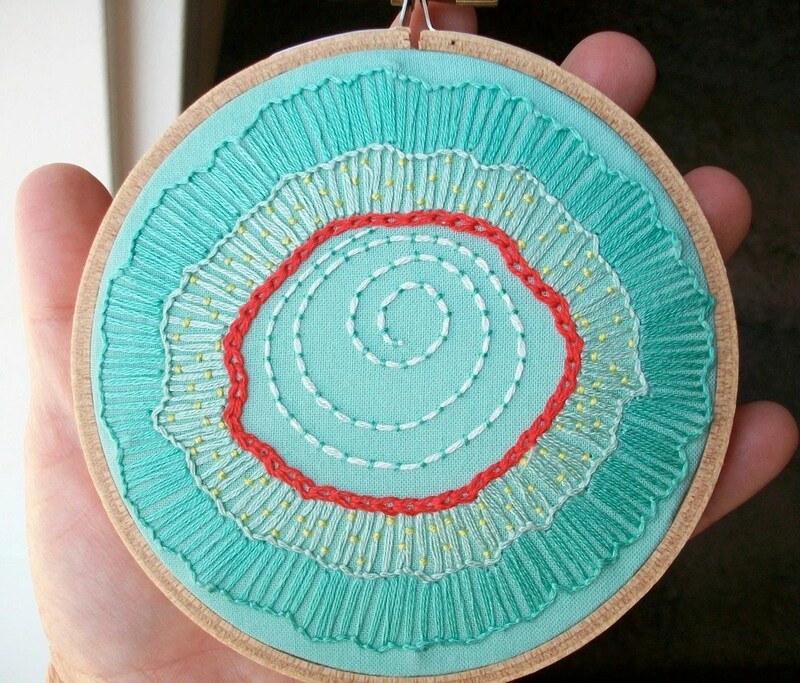 I first learned to embroider in junior high home economics class. I loved it. My mom recently found an embroidery I did back then—of an easter egg. A sort of sampler with lots of different stitches and colors. Very similar to the colors and variation i use now! When the class ended, so did my embroidery until five years ago, when my baby daughter’s pink sweater with gorgeously bold hand embroidered flowers inspired me to pick it up again. Tell us about your process—start to finish. I have been using mainly new fabrics in colors I love for my hoops, which are my current obsession. I’ve also discovered the amazing stash of scrap pool table felt my dad has at the pool hall he has owned for nearly fifty years. It’s 80% wool, super dense, and i’ve got loads of it now in the most beautiful colors—I love the stuff! Typically, my only “plan” is a color scheme (and maybe a new stitch I want to try out)… I’ll pick the fabric or felt and a few floss colors I love together. Often, i’ll start with a buttonhole stitch flower (I don’t know when I’ll tire of them—I know I will eventually, but for now I’m in love) then embellish it with unique stitches and colorful goodness. My happy place is generally on the couch next to the ott-light lamp in our cozy country bungalow. I just have to ignore the voices from the kitchen and laundry area, telling me things are piling up… I’m pretty good at that. My first beloved project was embroidering one of my son’s drawings onto a handkerchief for father’s day. I’ve stitched a ton of sublime stitching and Aunt Martha patterns and wonderful vintage patterns I’ve found online. I started doing monograms and words on handkerchiefs and pillowcases and have stitched up tons of custom wedding hankies. The amazing Sandy Mastroni, a Connecticut artist who is also on etsy, has allowed me to recreate some of her art in embroidery, which is a joy. I began doing custom portraits of children and babies—and even stitched the faces of three adult siblings onto a duvet cover for their parent’s 50th anniversary. Something changed in me last spring, and I started going in a new direction. My etsy shop has been directed largely by requests from customers, and I suddenly craved creating and experimenting with stitches in new ways. Most of my work up until this point has been prettying up something functional – pillowcases, handkerchiefs, tea towels, underwear… My current hoops are just decoration. Dare i say “art”? Learning to smile and say thank you when someone compliments my work—instead of rolling my eyes. Mmmmm…. Color. I notice color combinations in movie scenes, magazines, fabrics, vintage children’s books—all around me—and incorporate them into my embroidery. A few embroidery artists have also been hugely inspirational to me. I tend to be a perfectionist in my stitching, which has it’s place, but Aimee Ray’s book Doodle Stitching got me to realize that it’s the imperfect, organic sorts of designs and lines that are the most fun for me to look at. I remind myself of that, and try to stitch in some wonky-ness. 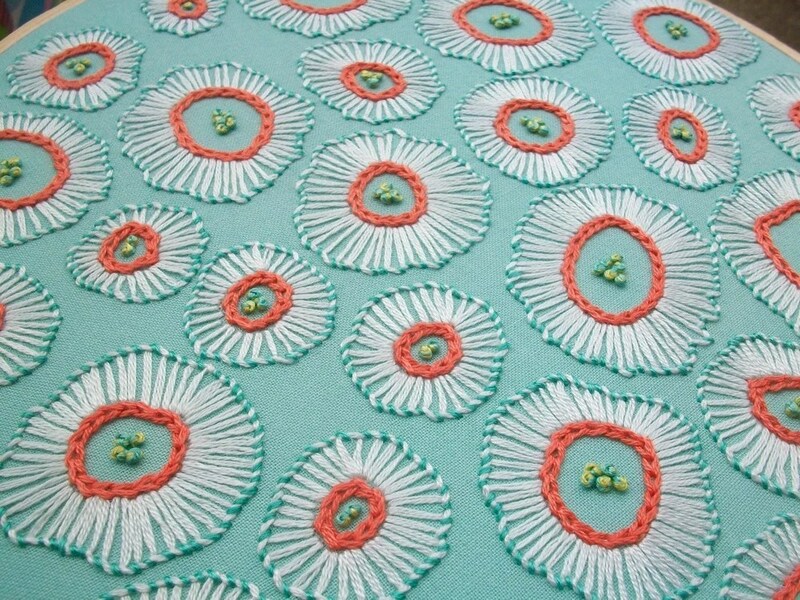 And Carla Madrigal’s amazing stitching… Who could not love it? The stitches, the colors—that is what is the art. Not some design or outline she stitches along. It is gorgeous and freeform and fantastic. Tell us about your etsy business. I first happened upon etsy at a crafty wonderland christmas show in Portland. Several of the business cards I collected took me to etsy shops. I’d never known there was a site like etsy out there—and it got the wheels turning. The next May (2008), I opened my etsy shop. I’ll have had bo betsy open for four years in May. It’s changed so much in that time—i’m excited to see what the coming years will bring! What advice do you have for new etsians? If your art/craft allows, I would suggest offering custom work. The custom work I’ve done was invaluable for building sales, relationships, and glowing feedback. Working with people to create what they want gives you the awesome chance to make people happy—and let your work and customer service really shine. I also tell customers that I’d love to have their feedback in the shop after they receive their order… And I always leave feedback for them quickly after the sale, as opposed to waiting for them to leave feedback first. A wonderful place called The Marketplace at Rain Dance Ranch, here in Newberg wine country, is carrying my embroidered hoops. And now, an amazing gallery called knack has my hoops. You can find knack nestled into the charming Multnomah Village of southwest Portland. I should also say that my facebook page is a nifty way to keep in touch with the friends I’ve made through bo betsy. I’d love to see more people there! ahhh, that’s the beauty in the treasuries! glad to see it up close — it’s gorgeous, kristin! 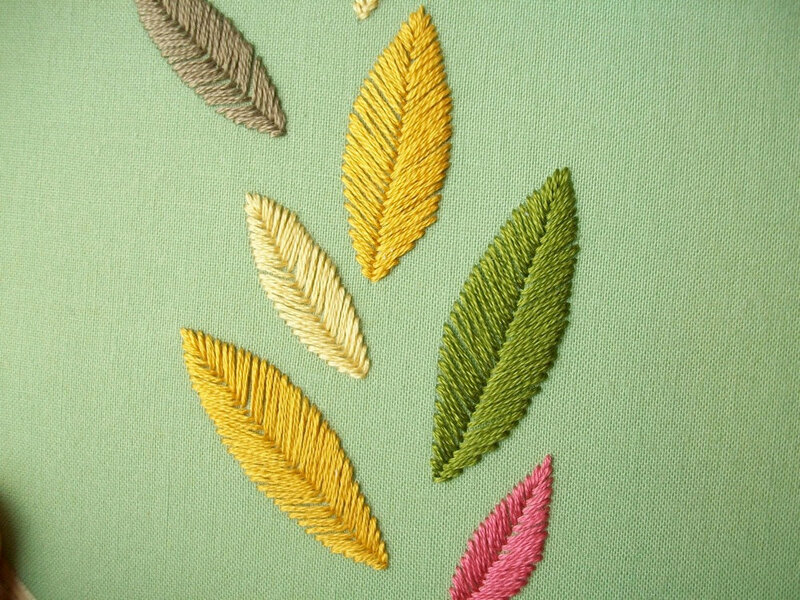 i love where the stem stitch morphs into satin stitch… beautiful work!